Politics aside, there are forces that burden us in the near and long term. Dramatic increases in health care costs, looming pharma patent cliffs, and a biomedical life cycle that is long, expensive, and produces limited results are large issues. Juxtaposed against the tremendous advances over the last 10 years in enterprise and personal computing power, the virtualization of social interaction, and advances in the granularity and decreasing cost of biomedical data production, there is great potential to be realized. In total, this changes the emphasis on value to those who can access, understand, and interpret the data meaningfully, no matter your place in the ecosystem (commercial or federal; payer or prescriber; patient or doctor, hospital or lab). While the federal solutions proposed to this situation will be influenced by politics - particularly in terms of who will pay for the transformation needed - we can make some assumptions. 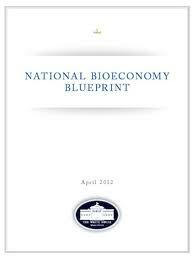 The software needed to drive this bioeconomy is not in hand. The solutions developed will need to be creative as the workflows will be novel, involve multiple partners, and will need to weave in the handshakes of systems that don’t share core technology, vocabularies and purposes. 5AM appreciates being able to contribute to advancing each of these objectives and are actively seeking to build more alliances with leading providers and industry, academia and the government. The way we can change the pace is by adding the “production” end to typical research and development processes - ensure that something is advanced into production that is valuable in and of itself, increases the opportunity for learning from its use and serves as a building block. For example, the “scientific enclaves” the FDA seeks to create, in addition to the data it wants to be able to share, is not unlike the enclaves that exist at academic centers across the nation, hospitals large and small, insurance providers and pharma and their many partners. The need for data - no matter its size - to be available, integrated, movable, and visualized for unique audiences, while being both protected and consented - will only grow. How we make use of the significant clinical trial or longitudinal medical records housed in such diverse places as the FDA, the Veteran Administration, State Health Departments, Hospital EMRs, and the data banks of Pharma and CROS are yet to be unleashed. While the last ten years have been about establishing that “we should collaborate,” the next ten will be focused on the fact that “we have to collaborate” - That is how we will do more with less, and all of us should reap the reward through targeted therapies, improved outcomes, and a bioeconomy that serves “the people” with economic, education and material advances.